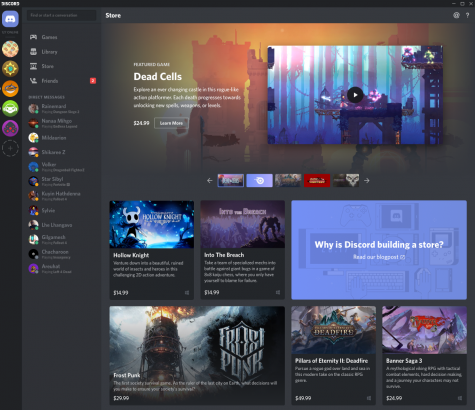 These additions to the digital platform are intended to “find, share, and jump into games with friends all in the same place you already hang out,” according to the developer’s blog. 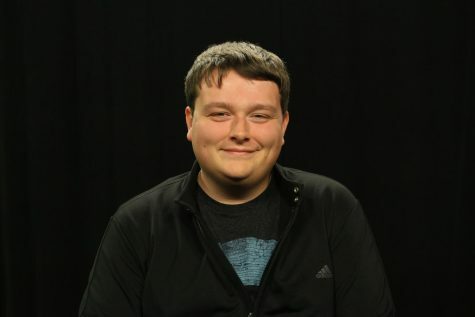 The store will offer certain titles 90 days before they arrive on other seller’s markets, offer recommendations focused on individuals and act as an additional service to launch downloaded games. The current selection of games includes mainly independently developed games, that include popular titles such as “Celeste,” “Hollow Knight” and “Dead Cells.” While there are plans for bigger companies to sell on the platform, the market is open to any interested game developers. 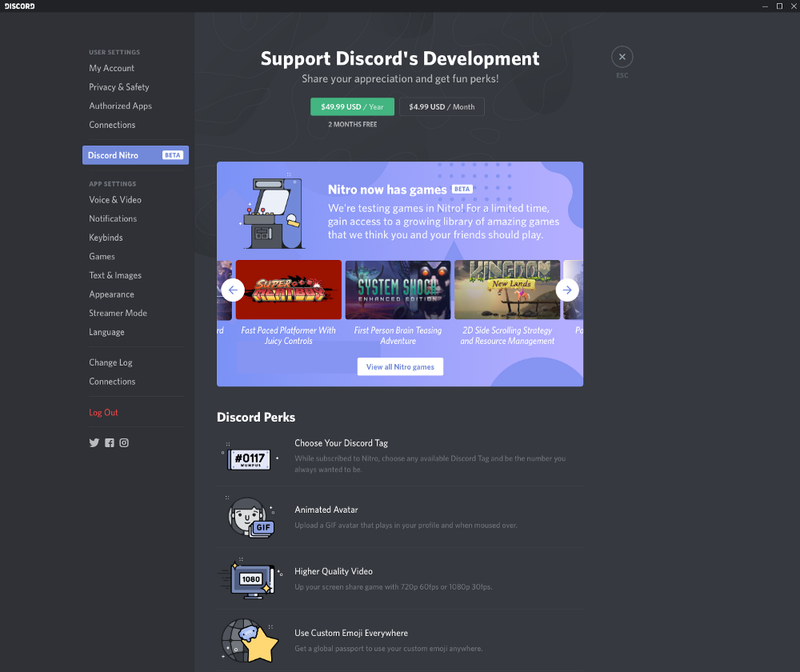 While it is the newest contender in an admittedly small market, Discord aims to differentiate itself by offering quality titles to its buyers. Steam’s library, while expansive, has come under fire in recent years for the quality and subject matter of the games they sell. Whether through a deceptive use of the “Greenlight” program or lack of quality assurance on Steams part, Valve’s platform has featured games that many find to be a bad reflection of the company’s business practices. In addition to the new store front, the “Nitro” subscription program will receive an upgrade. While the original benefits, such as animated avatars and larger file uploads, will be included with the subscription, a selection of games will now be available with the service. 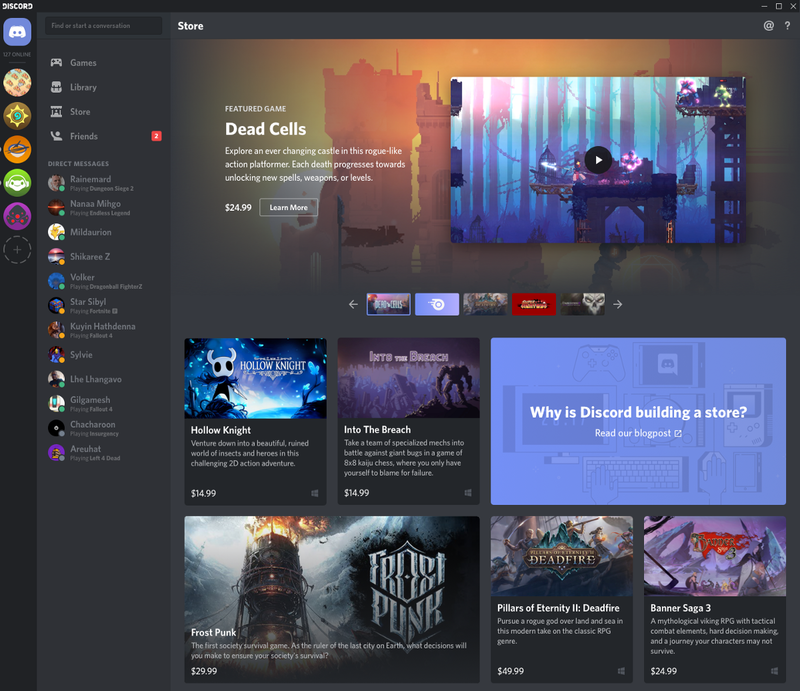 Similar to game rental programs available on Xbox and PlayStation systems, this $9.99 subscription will allow access to a variety of games hand picked by the Discord team. The selection of games will change as more titles are available, and some titles will be rotated out as they grow older or less popular. 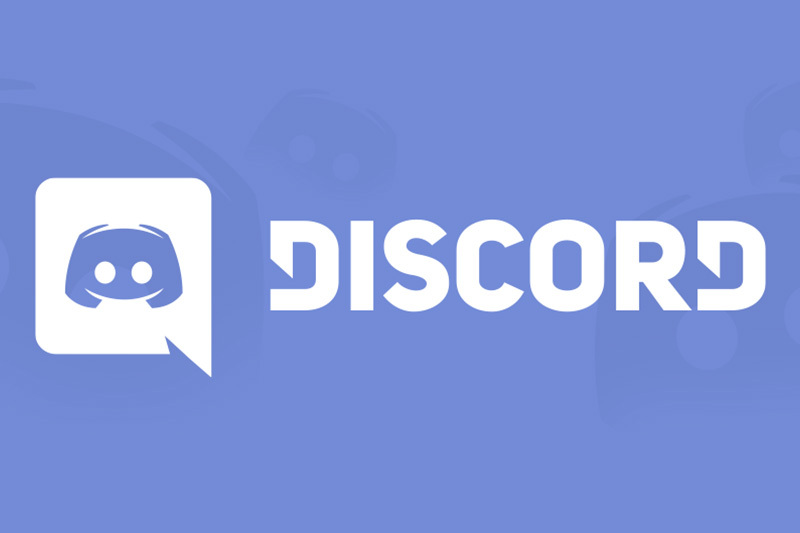 Representing the service as “Netflix for games,” the Discord team aims to make it worth the monthly subscription price. The games available by subscription will not be limited to just the titles available on the Discord Store, which opens up plenty of possibilities and adds value to the monthly fee. Even if your subscription were to end, the saved data would be uploaded to the Discord cloud and still be accessed when a subscription is reactivated or the actual game is purchased. For gaming fans, the new “Discord Store” and upgraded “Nitro” program add to the ever growing list of ways to access the games they want to play.